SPI may not have created the 'Monster' wargame, but they certainly perfected them! Below are notes for each of these great games! Each is linked to a page specific to that game as well. 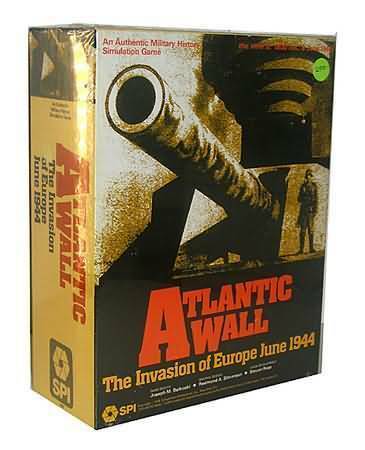 ATLANTIC WALL Grand Tactical simulation of the invasion of Normandy by Allied troops in June, 1944.
an air group or wing. Each turn is 4.5 hours of real time. 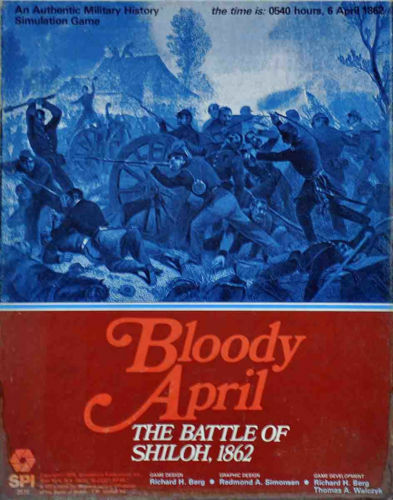 BLOODY APRIL A Grand Tactical simulation of the American Civil War battle of Shiloh, 1862. Each unit is a Regiment or Battery or Leader. Each strength point = 100 men or 1 gun. Each turn is 20 minutes of real time. 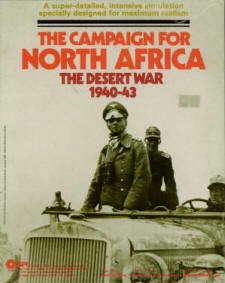 CAMPAIGN FOR NORTH AFRICA A Simulation of the WWII operations in Libya and Egypt from 1940 to early 1943. 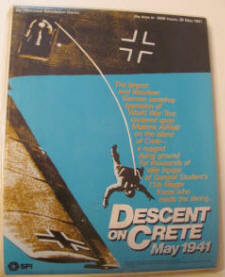 DESCENT ON CRETE A Grand tactical company level simulation of the WWII battle that took place Maleme area of Crete in May of 1941. Each unit is a company or a battalion. Each turn is two hours of real time. 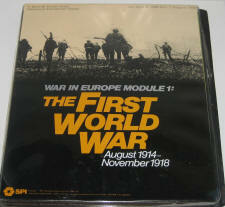 FIRST WORLD WAR A simulation of the first time the world went to war. Uses the maps from War in Europe. Each turn is 10 days of real time. 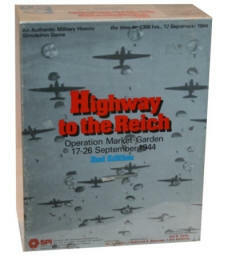 HIGHWAY TO THE REICH A tactical company/troop level simulation of the WWII battles of Operation Market Garden, which occurred Sept 17-26, 1944. Over 1000 unit counters, 1200 info counters. Each unit is a company or battery. 1 turn is 2 hours realtime. 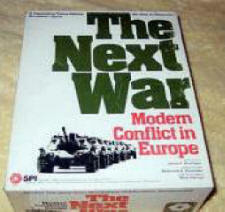 THE NEXT WAR A brigade/division level simulation of a Soviet-led Warsaw Pact invasion of central Europe. 1 turn is two days of real time. 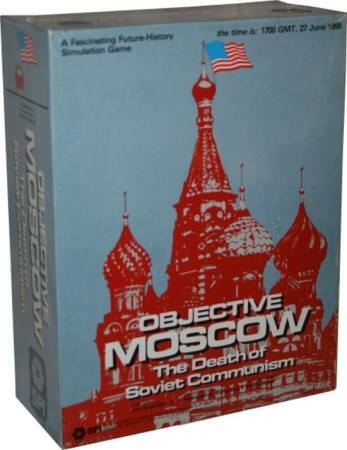 OBJECTIVE MOSCOW A divisional level simulation of invasions of the Soviet Union with the (then) future of the 1990s. Brigade or Divisional Units, Air Units and Naval Aircraft Carriers. 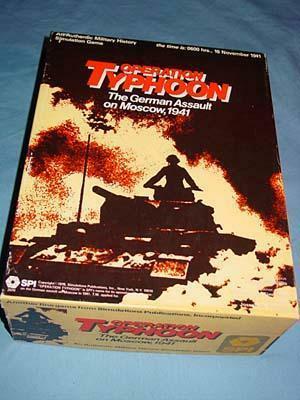 OPERATION: TYPHOON A simulation of the last German assault on the Russian capital in WWII, in late 1941. Most German units are regiments or battalions; Most Russians are usually divisions or brigades. Each turn is one day of real time. 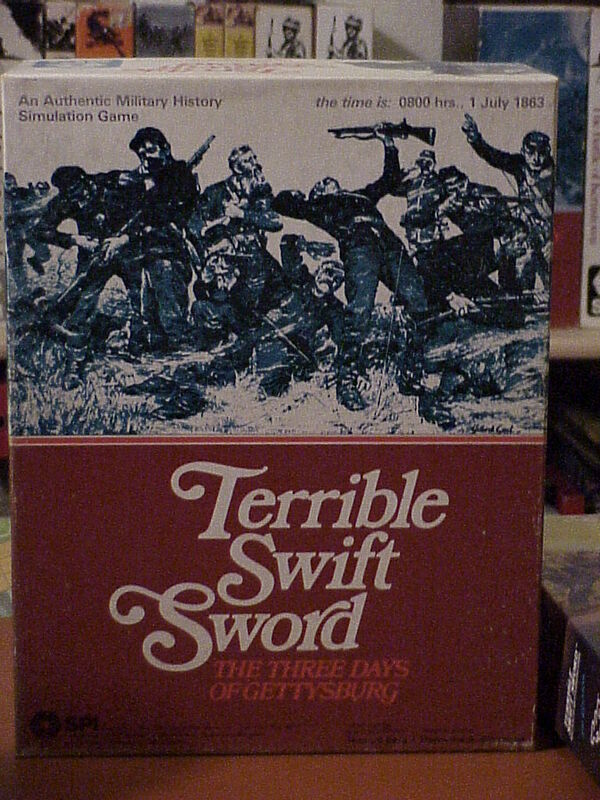 TERRIBLE SWIFT SWORD A Grand Tactical simulation of the American Civil War battle of Gettysburg, 1863. Each turn = 20 minutes of realtime. 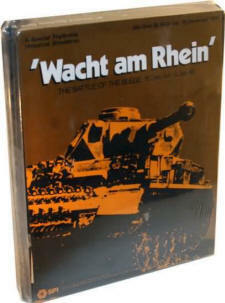 WACHT AM RHEIN Grand tactical simulation of the WWII Battle of the Bulge, which occurred from Dec 16, 1944 to January 1945. Each unit is either a company, battalion, or regiment. Each game turn is 4.5 hours. 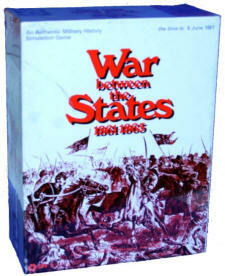 WAR BETWEEN THE STATES Operational level simulation of the American Civil War, 1861 - 1865. Most units are divisions or brigades. Each game turn is a week. WAR IN EUROPE A simulation of the WWII battles in Europe. 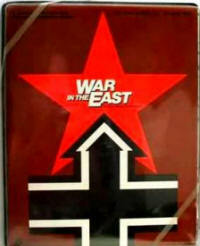 Four scenarios for War in the East, each 20 turns plus 200 turn campaign. 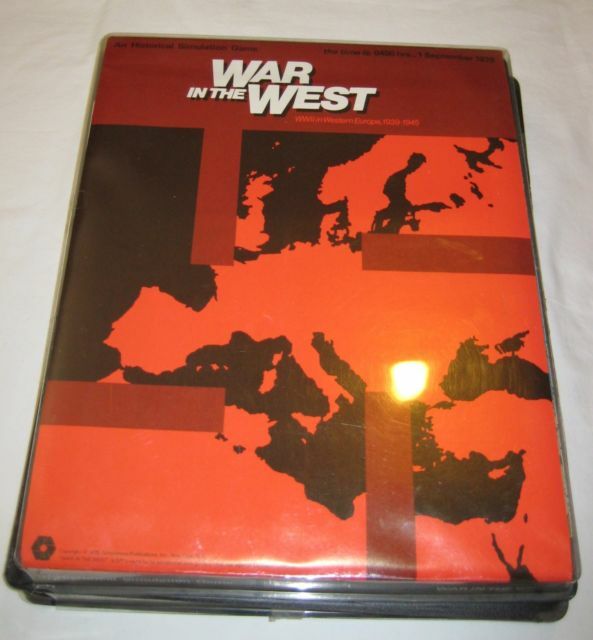 4 scenarios from War in the West, plus 302 turn campaign! 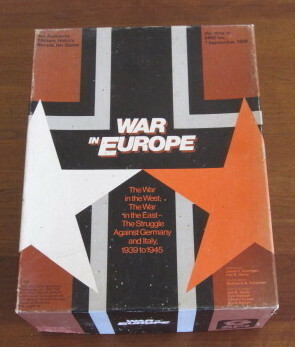 1st Edition Giant quadruple map, operational/strategic recreation of the titanic Russo-German struggle. 2000 counters, 200 turns. 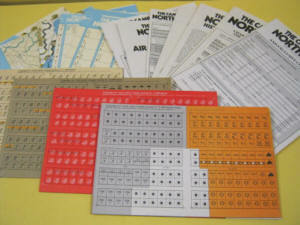 The original monster game from SPI, using the Kursk system. 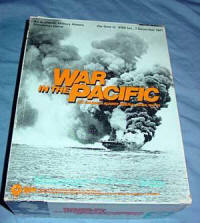 2nd Edition The original monster game, now fine tuned to mesh with the release of War in the West! The four maps are changed to fit the new standard 22" x 34" map, and the production system changed, to the now famous spiral. WAR IN THE PACIFIC A simulation of the WWII battles in the Pacific. There is a Campaign scenario, and 5 Battle scenarios. WAR IN THE WEST A simulation of the WWII battles in Europe. 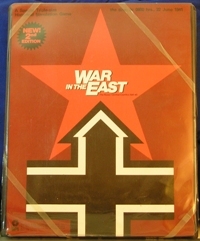 Also included the newly scaled maps for those who owned War in the East v1 so the games could be joined! 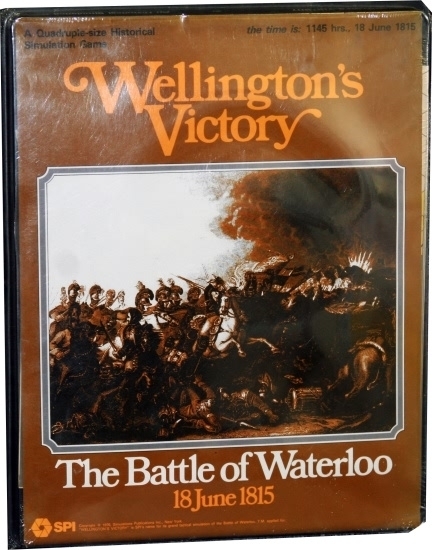 WELLINGTON'S VICTORY A Grand Tactical simulation of the Battle of Waterloo, from June 18, 1815. 1 Hex = 100 yards. Units are battalions or companies, with batteries and cavalry units. Includes battle formation tactics, skirmishers, and artillerists. Each turn is 15 minutes real time.